Over 40s Mums – Too Busy To Work On Your Look? Every Sunday morning when I was single and before the kids came along, I would spend the time pampering and preening. Eyebrows were plucked, legs shaved, even a face mask applied. In those days baths were leisurely and bubbly. Nails were painted in different shades a couple of times a week and I would think nothing of applying a full face of make-up just to go to the shops. Good self care was just part of my weekly routine. Now that I am in my 50s and balancing the challenges of self-employment with caring for two energetic bundles of mischief (the Husband claims to be “self maintaining” out of protest for my lack of cooking skills), having a regular beauty routine should be even more important. Actually, that’s not entirely true. It isn’t always the lack of time that stops us over 40 mums from caring for ourselves. No, I think it’s that our priorities have changed. And many of us are more confident in our own skin and don’t feel the need to camouflage what we have thought of as our imperfections. Now we are more accepting – even if we are aware of the changes in our bodies – the odd grey hair here and there, the odd patch of dry skin, the slight weight gain that comes with the approaching menopause. We look at some of the fabulous over 40s celebrities with their chutzpah and verve like Dame Helen Mirren, Kim Cattrall, Sharon Stone, Michelle Pfeiffer, and Julianne Moore and, with the wisdom of age, rather than judging them, we learn from them. We look at how they present themselves, the way they style their hair and their wardrobe choices. But these ladies work hard on their appearance, self-acceptance notwithstanding! It’s less of “take me as I am” and more of “take me at my very best”. 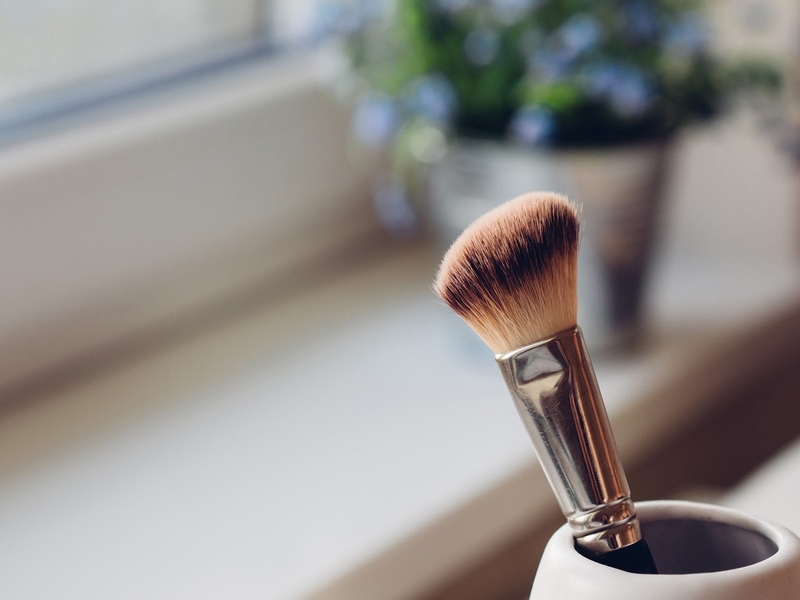 There are so many fabulous beauty products on the market that there is, in truth, little excuse for not making the best of yourself. When I do manage to sneak in a few minutes in the bathroom for some pre-school-run preening, I will apply a tinted BB cream (Garnier make a good one), some black mascara (currently I love Benefit’s They’re Real) and a tinted lip balm such as Carmex. Just enough to get rid of the early morning zombie look if one of the kids has been up in the night. I know more organised ladies keep a make-up bag with essentials to hand – and some even keep a duplicate set in their car – how organised is that? I also find that reading beauty blogs is a great way to keep up to date with current products and application techniques. Some of these girls and boys are good and have make-up tutorials which show you how to create the latest looks step-by-step. Don’t be put off by the fact that many of them are much younger – you can honestly learn a lot. Don’t be afraid to tweet or send them a Facebook message either because many beauty bloggers are happy to give their advice on products, colours and application techniques. Another good place to learn about the latest colours and techniques is the local beauty department in your local department stores. It is often possible to be shown a “5 minute look” or for the assistant to test make-up colours on your skin. Yes, you may feel obliged to buy but you don’t have to – just say that you will ask a close friend for their opinion and pop back later. There’s a great deal of truth in the old maxim that “if you look good, you feel good” so I think we midlife mamas should make sure we demand our fair share of “bathroom time” and treat ourselves to a new lipstick occasionally. If you have daughters, I think it’s important to be a good role model for them and to teach them that it is enjoyable to be a woman – no matter what your age. If they always see you make-up free and with your hair scraped back in the infamous “mum bun”, they may not be inspired to make the best of themselves! My daughter is 8 in November but she always notices when I am wearing make-up. I think the key is balance. A healthy acceptance of the face and figure you have now, coupled with the confidence to wear the clothes and make-up right for you is key – as is diarising the time (if that’s what it takes!) to make sure you look your best.